For much of history, women have lived as second-class citizens. American women were only given the right to vote in the twentieth century. As recently as the 1970s, a woman could be denied a credit card unless it had her husband’s signature. The freedom we enjoy today is a fairly recent thing; our grandmothers lived in an era with fewer rights, and the generations that came before them had it even worse. Aside from having fewer legal rights, women in the past also had fewer fashion choices. As recently as the 1940s, women could be arrested for wearing pants in public, as they were considered to be menswear. Today, women have far more options to wear clothing that is both comfortable and expresses their personal style. Historical options, however, were quite limited — and often oppressive. Some of the fashions women have been subjected to throughout history have been uncomfortable, restrictive, and downright dangerous. In some cases, historical fashion trends could even be deadly. 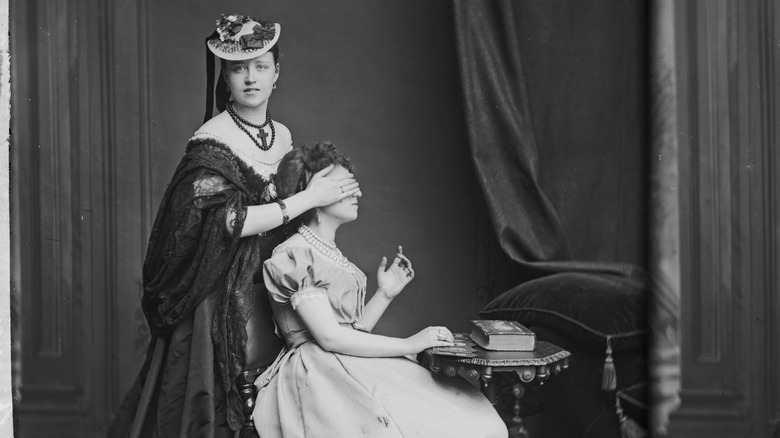 Here are some of the most oppressive fashion trends that have existed throughout history. Corsets are still worn today, but most of them aren’t nearly as restrictive as the ones our ancestors wore. 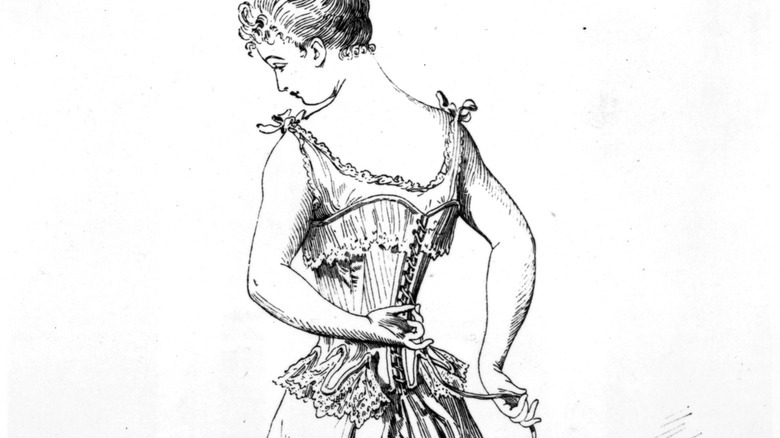 The rise of the corset as a device to cinch the waistline dates back to the 16th century. Historical corsets were notoriously uncomfortable, and constructed from confining materials such as whalebone. When laced into a tight, rigid corset, women could not raise their arms above their heads, move too quickly without running out of breath, or slouch. The corsets made women have impeccable posture by essentially locking them into a cage. By the 19th century, doctors were warning women against lacing their corsets too tightly. The Lancet, a medical journal still in print today, published an article called Death From Tight Lacing in 1890. As the 20th century progressed, bras began to displace the corset as the undergarment of choice, but the corset hasn’t really died out and still sees widespread use in the 21st century. Fortunately, it is no longer a fashion staple or considered societally mandated. If you think high heels today are bad, they’re nothing compared to the astonishingly high footwear worn in Europe from the 15th to the 17th century. 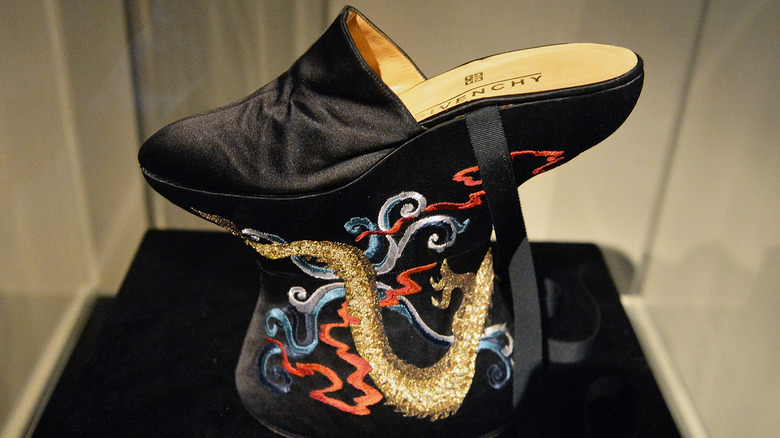 Known as chopines, these shoes were a predecessor to the modern-day platform. While similar in structure, chopines towered over most of today’s shoes, and could be as high as three feet. Naturally, women were unable to move freely in such tall shoes, so they would support themselves through the use of a walking stick or human escorts who did their best to prevent the chopine-wearers from toppling over. The high heel dates back even further than the chopine. Originally worn by both men and women, high heels originated in the 10th century as a way to help horseback riders keep their feet in their stirrups. By the 17th century, upper and middle class men and women wore high heels as a symbol of class. By the 18th century, men had decided heels were impractical and they became primarily a women’s accessory. Large eyes have long been considered to be a symbol of beauty. Studies suggest that, even today, women with large eyes tend to be viewed as more attractive. While modern women can rely on colored contacts and makeup to change the appearance of their eyes, Italian women living the 16th century tried a more dangerous technique to make their eyes look larger: belladonna. The use of belladonna as a cosmetic product was also reported in 19th century France. While the plant can be lethal when ingested in large doses, the plant does have medicinal uses and is still used to help dilate pupils today. Anyone who has ever had their eyes dilated at the eye doctor’s knows just how uncomfortable the experience can be. The eye drops used to dilate your pupils can last for hours after an exam, leaving your eyes out of focus. Doing it on a regular basis all for the sake of making your eyes look larger is an extreme measure. We can only imagine how many bruises resulted from women with dilated pupils bumping into things.